We recommend a yearly inspection of your roof/attic. Many problems can be avoided by making sure your soffit, roof, gutters, and flashing around your chimney are all free from warping, separation, or over-weathering. Any gaps to the outdoors may let in heat/cold, moisture, and pests! Your roof and attic should not go unattended. 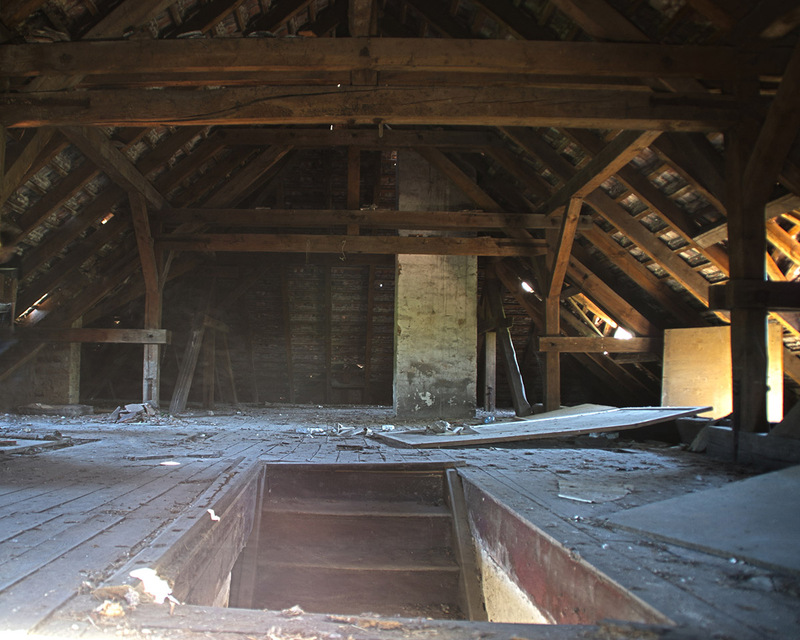 Attics go unnoticed for months – sometimes years – leading to unwanted situations. Rotten wood damaged from moisture needs to be replaced, floorboards, and roof joists may need to be repaired which can become a costly procedure. If damages are not addressed, walls and floors may need to be rebuilt, the entire attic and roof, may need to be replaced. After a FREE* inspection by Proline contractors, our pros will recommend the best course of action to seal up any holes and cracks to ensure you are not letting anything in (weather and pests.) Nature will find a way in if it can, so never wait on roof and attic repairs. Once your roof and attic are safely sealed and insulated you can investigate some of our other attic improvements below. We have many space-saving solutions for your attic space. If your attic is used for storage space, start with a chair and table to go through what you need: items to keep, items you will donate, and items that you can throw away. Once your clutter is sorted, hidden storage can be built within walls and shelving/cabinets may be built between roof joists. Attic spaces are a perfect opportunity to install a custom cabinetry solution to tidy up your clutter – including cabinets that are even big enough to store the Christmas tree! Many homes have an attic ladder, or a dropdown staircase, leading to the attic. These hinged staircases may be difficult to use, outdated, and quite difficult to store and remove cumbersome items from within the attic. ProLine is glad to help make this chore a little more pleasant. Consider upgrading your hinged-staircase or having ProLine maintain the performance of your dropdown staircase – it may need new springs or hinges which will make it much easier to use. Alternatively, depending on where your attic door is, you can remove the dropdown stairs and replace with a permanent newly built staircase to add to the safety and style to a new and improved attic space. If you would like to create a living space up to code in your attic, the main staircase can never be closed off. Remodeling a space can be a daunting task. If it helps, break your projects into smaller parts. We recommend working from the top-down: Ceilings, then walls, floors, then doors. After that, another small, yet impactful step that can kick off your remodeling project is adding a window in your attic. A simple window or skylight will make the space airier and more open and will add invaluable light and fresher air. Once your attic smells as nice as the rest of the house, everyone will want to see your new living space. Unsure if your attic is big enough? Follow this rule: A finished attic must be 7 feet high and the size of a small room – a minimum of approximately 7x10 feet (70 square feet) in area. Every part of the house needs to be looked after to make sure no repairs are needed. At Pro-Line, we would like to be your one-stop-shop for all your home repair and maintenance needs. Call us today for a free estimate of your next home repair, remodel, or maintenance project.